Mark Stothard is a ship builder and proud half owner of TRUE NORTH. In this interview Mark talks about how he came to be involved with TRUE NORTH, his passion for expedition photography and the equipment he uses on his expeditions. He also shares some of his favourite images from his travels on the TRUE NORTH. How did the TRUE NORTH story begin for you? Craig Howson and I met in the early '80s when I sold him his first boat. We came together again in 1998 when we built the 34m True North for Craig, then a few years later in 2003 when Craig had a vision for a 50 metre adventure cruise yacht. At that time, Craig had 20 years of experience of expedition cruising, and I had 20 years of shipbuilding experience. Craig asked me if I'd join him, I said I'd love to. I've always admired how Craig runs things. He ran North Star Cruises exactly the same way I was running my shipbuilding business. Build it once, build it right, build it the best you possibly can. We came together with the same business philosophy and combined our experience. That's why you've got a 50 metre cruise ship like TRUE NORTH that absolutely rocks. People say they can't believe how right we got it. It wasn’t an accident, experience counted. TRUE NORTH has been a major success story. She is the most awarded cruise vessel in Australia. North Star Cruises is the largest cruising company in Australia, and I'm really proud to be involved in it. I'm really proud of Craig and the team and how they go about doing what they do. During your expeditions on TRUE NORTH you take landscape, portrait, underwater and aerial photos. What are some of the moments that stand out for you? Something that stood out for me right at the start was how badly I was capturing photos in truly amazing places. It was frustrating! Someone told me about a guy called Christian Fletcher who was running courses down south. I learned a lot from Christian, and nowadays I can go to amazing places and be capable in terms of photography and videography. There's no end to the array of images that you can come away with from the sort of expeditions TRUE NORTH goes on. We've got all of the toys to go and get the shots. A fantastic big boat to get us to the places in luxury. Six 6m scuba equipped tenders to get us out wherever we want to go. A Eurocopter EC130 onboard. These are all the toys a photographer would ever need and we’ve got our own drone now. I've just got a new Phantom 3 drone which I'm exploring and loving to bits, it's just an amazing bit of kit. 4k video and 12 megapixel photos. It's great. This is a photo I took at The Rowley Shoals. Sunrise, 200 nautical miles off shore. You don't normally see sea conditions like that, it was a pretty special moment. We were that excited we forgot to wake Mike Fletcher - we were sort of halfway around taking that photo and we had to scramble back to get Mike out of bed so he could get the video version of it. Some of my favourite photos are the shots I took with Christian Fletcher at a place called Winyalkin on the Kimberley coast. What a fantastic place. Christian and I climbed up the top of some cliffs to take photos of the beach sunset. We didn't even know that a rock pool existed behind it. I just looked over and went, "Holy hell. Look at that. We've got to go and get that.” We were literally running to get a range of different captures before the sun went down. I came away with six really good photos from that one shoot, and that's unusual. Normally if you come away with one or two you've done really well. Christian also came away with gold as well. A very special spot. 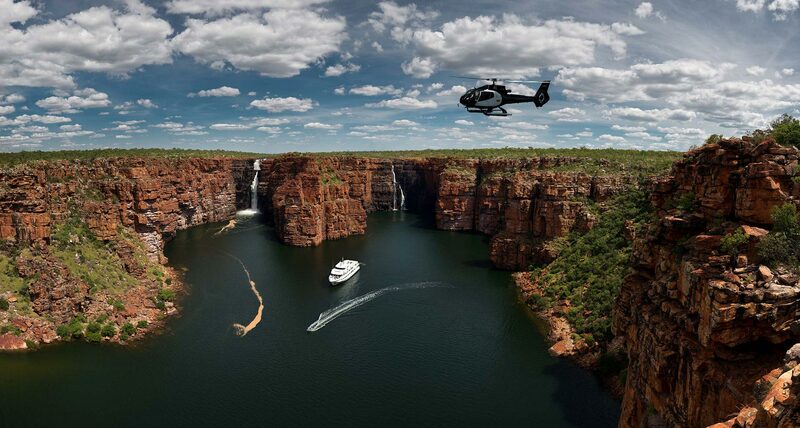 There's a bunch of very special moments on TRUE NORTH, the Kimberley in the wet season being one of them. The rolling thunderstorms keep coming in, and the waterfalls just go off. This is an image of King George Falls. 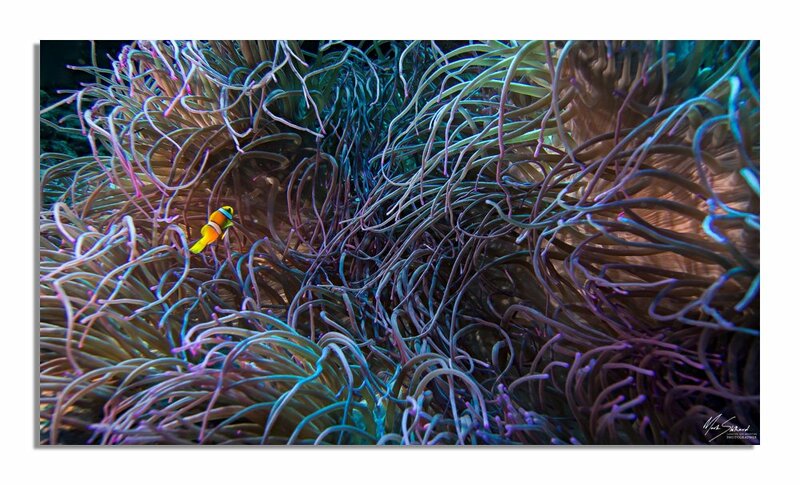 I've got some photos I really love out of Papua New Guinea, both underwater and above water. One of my favourite PNG photos is a photo of my wife at a place we affectionately named "Lee's Island" - you won’t find that on any map as we just unofficially named it Lee’s Island! The Montgomery Reef is six hundred square kilometres of reef that punch out of the ocean on the back of twelve metre tides. It's just amazing. 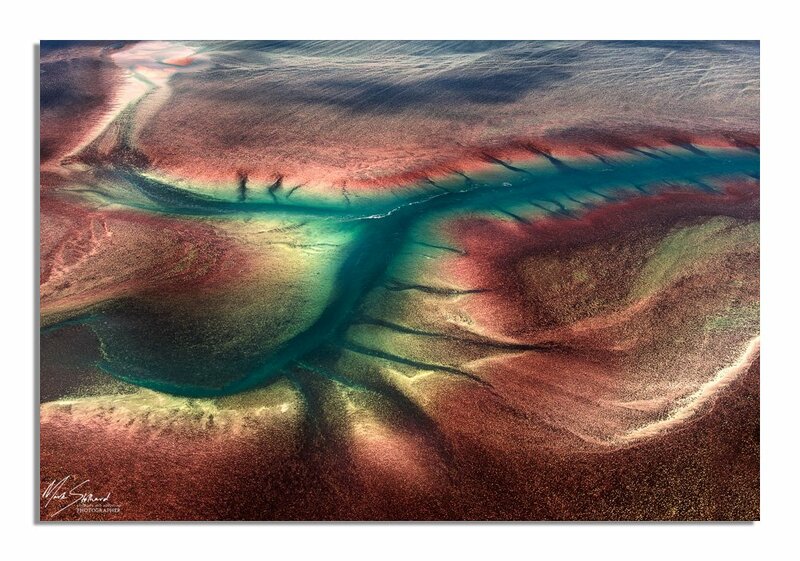 The colours of the reef are red as the reef comes out of the water in high tide. I really love taking underwater photos off TRUE NORTH. I've recently just got a new underwater housing for my Nikon D810 which is a great bit of kit. I’m really enjoying using it, although it’s been a steep learning curve. I used to use the OMD Olympus with its own plastic housing. It was a fantastic bit of kit, and I still will use it for simpler photo shoots. But for the ones where I know it's going to be pretty epic I will certainly be taking the D810 kit down. 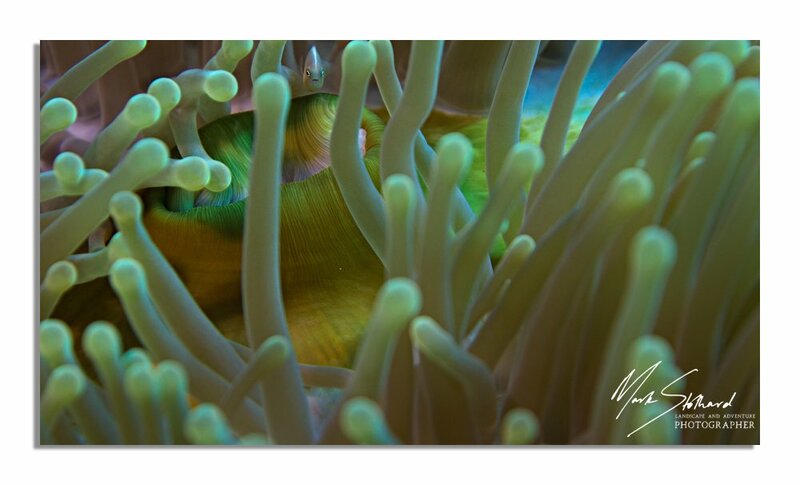 Underwater photography is about fifty times harder than landscape photography, it’s just got so many challenges. The water is moving, particles get illuminated by your strobes and your video light, there is often ailing light. The challenges that are just never ending. I guess that’s part of the attraction, if you come away with a really good underwater photo you feel great as you had to work pretty hard to get it.